We will explain these five steps briefly, but first we will show you how to quickly find something on Viata. Our search possibilities quickly bring you to the products you’re looking for or that offer a solution to your question. (1) Enter your search term and you’ll get suggestions of possible products (2), relevant categories (3) and even relevant themes or blogs if you're looking for underlying information (4). If you do not choose any of the above possibilities, you can simply press enter on your keyboard. Next you’ll see a results page with a selection of products. If you want to refine your selection, you can use the relevant questions for the displayed products (5). Each question has a few possible answers (6) that you can check to get to a product or a selection that suits you perfectly. Place all the products you want in your shopping cart. In step 1 of the ordering process you can still modify your shopping basket. 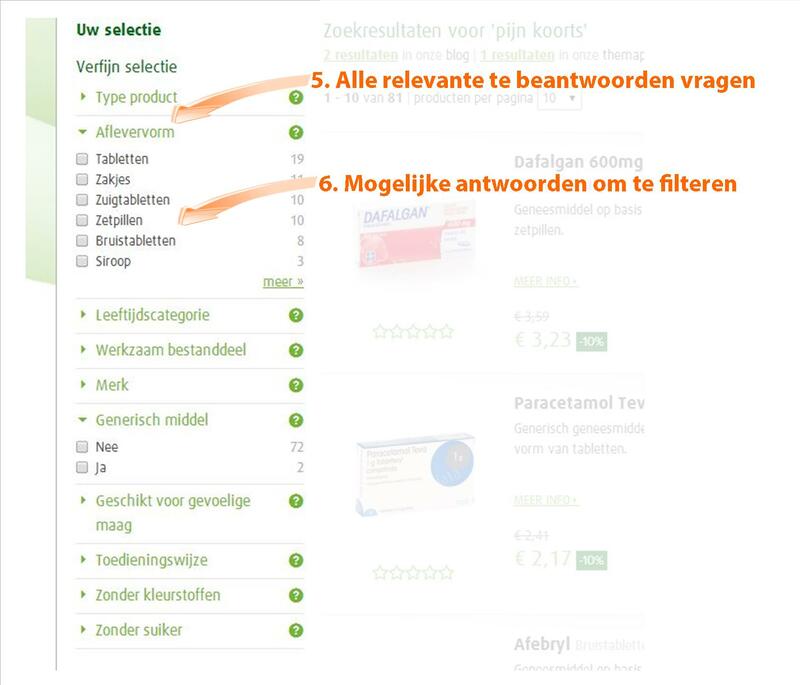 You can increase or decrease the amounts, delete products from your shopping cart. To display the correct delivery cost, you can specify which country you want your package to be delivered to. If you have received a promo code you can also easily enter it here and enjoy the benefit. Your first time at Viata? Please provide us with your details and determine the delivery address. You can choose to have your package delivered at home, at work, at your family’s or friend’s house. You can easily add and manage these different addresses. If you’re already a customer, simply log back in and we’ll pull up your information. If desired, you can change your information or delivery address. In this step, you will see a summary of your shopping cart. You can still edit your shopping cart or your information or your delivery address at this time. In this step you’ll also see the guaranteed delivery period. If you order before the indicated time, you’ll receive your order on the specified day. If your order after the indicated time, you have to add 1 business day to the delivery period. You’ll be redirected to the payment menu of DocData Payments. Simply choose the desired payment method and fill in the requested information. The possible payment methods are: Mister Cash/Bancontact, Visa, Mastercard and iDeal. Depending on the chosen payment method you’ll see other steps to safely carry out your payment. DocData Payments is a renowned international payment provider that handles the payment transaction as an independent and government-controlled partner. If you get to step 5, then your order and payment have been received. We’ll send you a confirmation by e-mail straight away.